When designing a Web site there are many things to take into consideration. These things include decisions on design, back end coding, and many other things. Unfortunately more often then not web accessibility is not taken into consideration. Web accessibility is making the web usable for people who have disabilities. It ensures those with disabilities can not only access content on the web, but understand it, navigate it, and even interact with it. 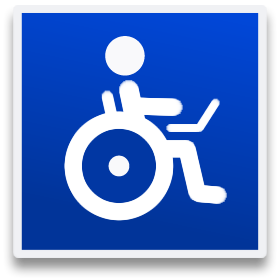 Web accessibility is also about making sure disabled people can contribute to the Web. Not only do the efforts of web accessibility benefit people with disabilities, but they also benefit the aging, who suffer from changing or loss of abilities. The wide reaching benefits are gained because of the emphasis placed on web accessibility to include visual, audio, physical, speech, cognitive, and neurological disabilities. 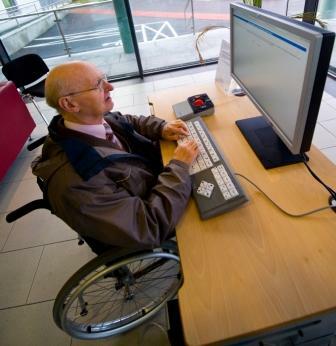 There are varying degrees of disabilities that can affect the way the Internet is used. One thing developers need to keep in mind is that many of these web surfers use assistive technologies to make their Web browsing more beneficial to them. These technologies include screen readers, speech recognition, and keyboard overlays, to name a few. Most web sites and web software have obstacles, termed “accessibility barriers”, which make it difficult or even impossible for those with disabilities to use the Internet. However, as awareness of Web accessibility and the need for it has increased, so have the opportunities for people with disabilities to access and contribute to the web. The main way this is currently being accomplished is through pure website flexibility. Making a website flexible means designing it so that it can be adjusted by a user to suit their needs, preferences, and situations. This allows people not only with permanent disabling conditions, but also those with just slow Internet connections, or even temporary disabilities, such as a fractured wrist to make the most of their web experience. While a lot of the focus and blame has been directed toward Web developers, part of the problem is the software they use to create sites. The applications used in Web development should be equipped accordingly in order to aid the web developers in the creation of web sites that are accessible, but often are not. The WAI (Web Accessibility Initiative) has created guidelines, which are considered the standard for web accessibility around the world. The complexity of making a web site accessible according to the WAI’s standards depends on many factors. The main factor in making a site accessible is the content. Some of the others are the size and complexity of the web site and the above mentioned development tools and environment. The easiest way to make a web site accessible is to plan the features during the development or redesign phase. It becomes increasingly difficult to fix inaccessible web sites when they are not coded to w3 web standards. It is also difficult in multimedia heavy Web with a lot of video and audio content because it is harder to customize to users’ preferences. The WAI has released a list of basic steps for making web sites more accessible, as well as detailed information for the more advanced developers. The best way to evaluate the accessibility of a web site is to start doing your checks early in the development process and continue throughout the building of the Web site. Some quick check include turning off images to see if alternate text is available and vary the font size to see if the page is still readable at larger sizes. There are also evaluation tools such as http://www.w3.org/WAI/ER/tools/complete.html that can aid a developer, but there is no replacement for a knowledgeable human. If you are unsure of how to properly check your site the WAI has reading materials http://www.w3.org/WAI/eval/ to aid the developer in becoming more knowledgeable about making web sites more accessible. Web site accessibility is important. If you disagree, think about it this way. Would you build a brick and mortar store and not take into consideration the disabilities of your potential customers? Most likely not, and you should do this when building a Web site. If you have any questions, comments, or tips on making sites more accessible please share them in the comments. I didn't think of accesibility much before Andy. I am definitely going to give it a greater harder look in my next projects. Thanks for pointing this out. 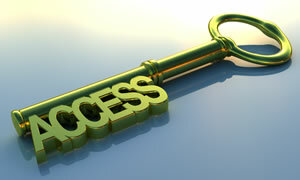 Accesabilty is very important! This is a really great article. I'll be directing some friends to this post.